Yes, ze Germans are preparing to take over Austria Australia in early 2012. With Opel. 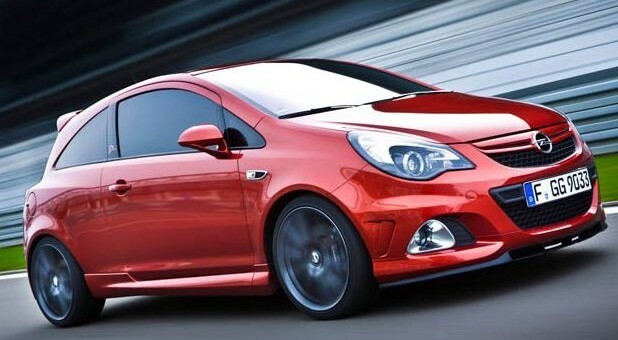 Munitions that will be used will include the subcompact Corsa, the Astra (and possibly the GTC) and the Insignia. More unique models slated for Australia include the Ampera and a more interesting Gamma II platform-based electric vehicle that will launch in about four years from now. Other countries set for an Opel onslaught include Argentina and Chile by the end of this year, and China by next year. Now, with Opel setting its sites on expansion beyond Europe, it does invoke the thought of perhaps seeing the brand in North America someday. How would you feel about that? GM is selling the Opel Insignia in North America as the 2011 Buick Regal, now that Saturn is gone. How can GM sell the same car under two different name plates in the same country? I thought badge engineering was dead? This brings up a new question, how is GM going to expand both Buick and Opel globally without stepping on its own toes. I beleave GM is known as Holden in Oceana, unless Aussies see the Holden brand as 6.2 liter OHV steampunk antique RWD only, and that would be bad for Australia, and what’s bad for Australia is bad for GM, and 6.2 liter steampunk antique RWD’s. In the US,Canada,South America’s, China, Russia and former Soviet empire and the Middle and Far East; GM is Chevrolet. In Germany, France,Benalux, it’s Opel, in the UK it’s Chevrolet/Vauxhal/Holden, but never Opel, and um in Japan I belive GM is a custom 1986 Chevrolet Astro Van/ with shag carpeting. That’s just the way things aught to be as far as I am concerned, others I am sure will dissagree. Gamma II Electric Vehicle, sounds interesting, what is it and when is it coming stateside. How the hell is chevy, buick, AND opel supposed to become global brands when badge engineering is rampant, and Aussies will gun down anyhing that’s GM except Holden. I think the U.S has enough GM brands, just expand GMC a bit and bring some European models over and we should be good. Thats good news, and get rid of the Korean made cars. What’s wrong with Korean-made? GM’s Korean plants are just as good as those in the U.S. or OZ or Europe… I don’t think it’s about the country of origin. Rather, it’s about engineering and manufacturing standards.